For an upscale Purim brunch or for your favorite cheese aficionado, let us send this artisan gift set. 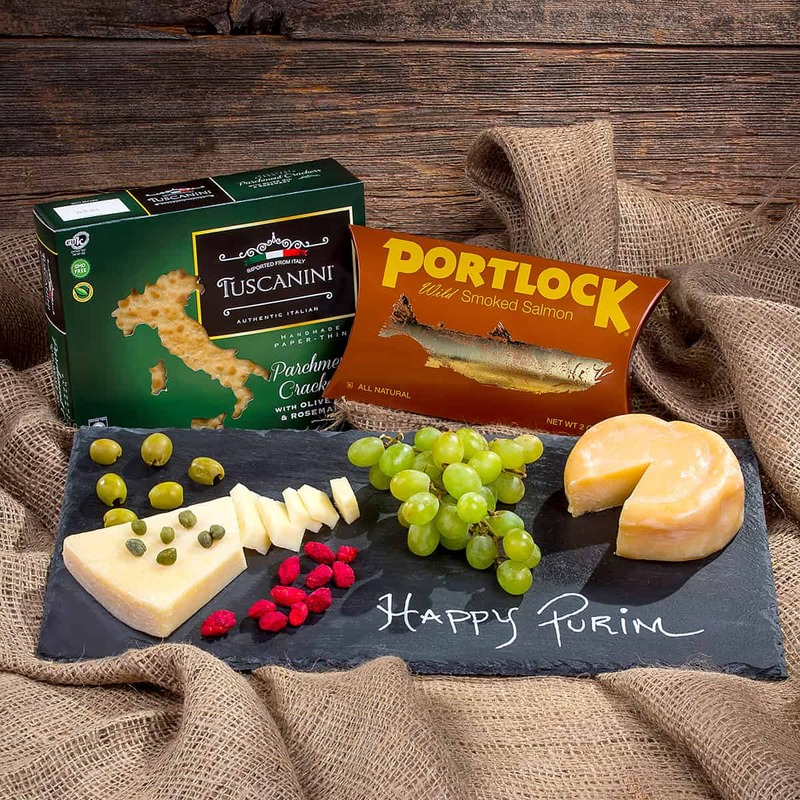 Includes: 2 year aged Parmesan cheese wedges, Toscanini Italian crackers, Smoked Salmon, and Olives – all on a Happy Purim slate cutting board. Includes food-safe soapstone chalk so you can rewrite your own message any time!